Often confused due to its overlap with the renaissance period, baroque is an artistic current that have left a huge mark on art, as we know it today. Baroque has very extravagant influences, easily recognized because of the fine elements and details that focus on emotions rather than logic and geometry. Everything about baroque is passionate and interpretable, as most of the paintings and sculptures we see today are points of reference for art critics that discuss the evolution of art. While baroque is an era long dormant, and one with a brief reign at that, the pieces that survived to this day are flawless representations of one of the most beloved art currents of all times. Everything about the Baroque current was a tad dramatic, but astonishing nevertheless. Art history identified Baroque as being born somewhere around the 17th century, registering a continuous evolution until the 18th century. This artistic current first started in Rome, but quickly spread across Europe within the next decades. 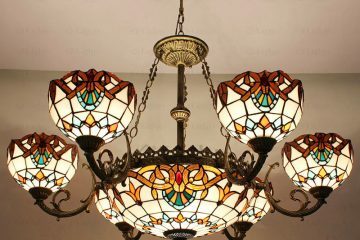 As a general term, baroque is used to describe something with intricate details and very elaborate scenes. Judging by the details of every baroque art form, it became clear that the main purpose was to appeal to the human emotions, through drama and exaggeration. One of the terms most commonly associated with the baroque era is “chiaroscuro”. 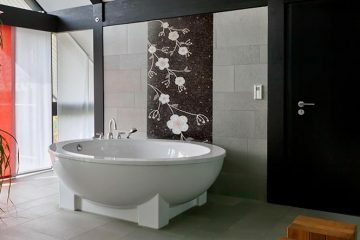 This is a technique that combines light and dark scenery to create the dramatic scenes, some of which are poorly lit. By intertwining light and dark, painters were able to capture the best of every scene, to recreate a sense of despair. Baroque also left an imprint on architecture. Every building that was created under these influences has very elaborate details, with elements of grandeur, making the visitor feel overwhelmed with the amount of elements that need to be carefully analyze to really understand the influences of this current. It is not uncommon for people to confuse baroque with renaissance. This is understandable, since baroque borrowed a lot of renaissance vocabulary, but gave it a more theatrical twist. Italy is really the centerpiece of all things baroque. Italy has given the world some important baroque architects and buildings, such as Pietro de Cortona, Gian Lorenzo Bernini, Francesco Borromini, and Francesco Borromini. From Italy, the baroque current transitioned to Spain, in the late 17th century. 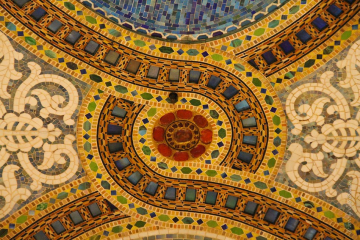 Compared to Northern Europe, the baroque elements used in Spanish architecture was more focused on human emotions, rather than looking to please the intellect. 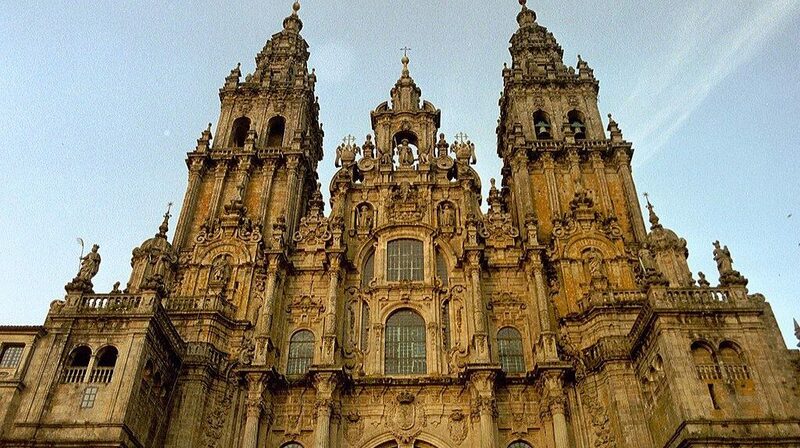 The most well-known baroque architecture sights in Spain are the University of Valladolid, and the facade of the Cathedral of Santiago de Compostela. As baroque moved to England, the most common name associated with this era was Inigo Jones. He brought Palladian architecture to England, giving them notions of symmetrical styles developed by Romans and Greeks. 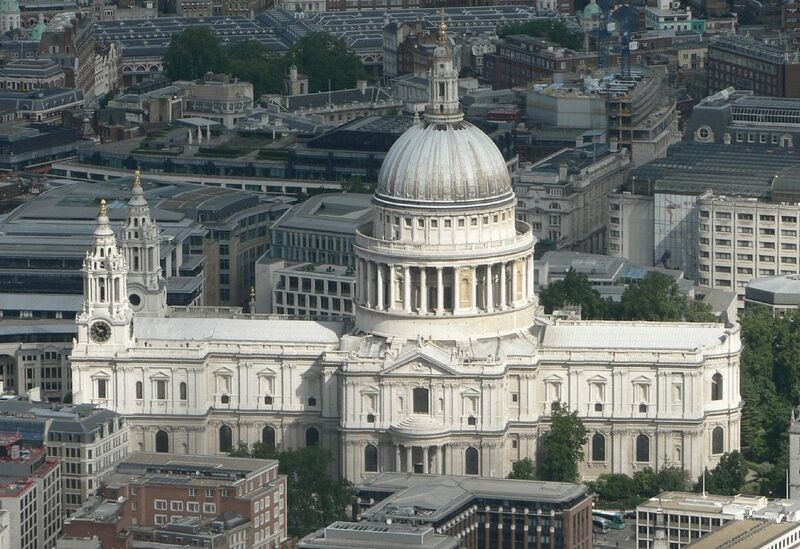 However, the most popular name associated with England baroque is Sir Christopher Wren. He was an architect that rebuilt a lot of churches destroyed in the Great Fire of London in 1666. His most famous reconstruction is St. Paul’s Cathedral. England’s baroque architecture characteristics are the heavy structures that have intricate decorations, unlike the influences of continental European baroque, which is focused on classical elements. The topic of baroque architecture can never be complete without discussing how this style has influenced the French. Everyone in the world has heard of the Versailles Palace, which is a results of the finest French baroque ever. 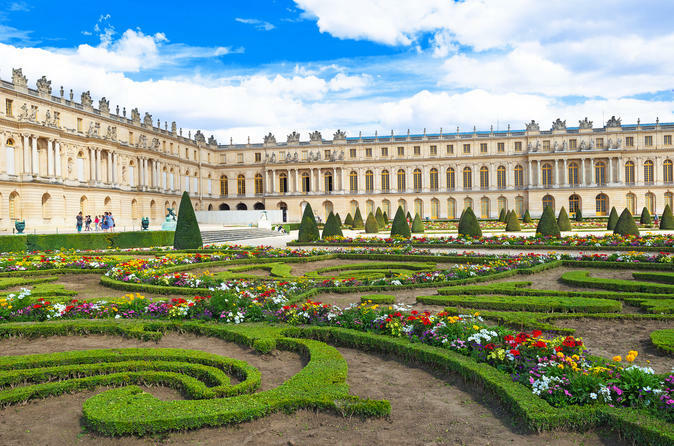 The Versailles is an architectural masterpiece, with curved forms, imposing domes, and highly-complex shapes. Louis Le Vau is the architect behind the magnificence of this palace, with Charles Le Brun working on the interior decorations, and Andre Le Notre, responsible with landscape designing. The interior of the palace is adorned with golden fabrics, marble, sculpted side boards, mirrors, and other imposing elements, but so rich in detail! 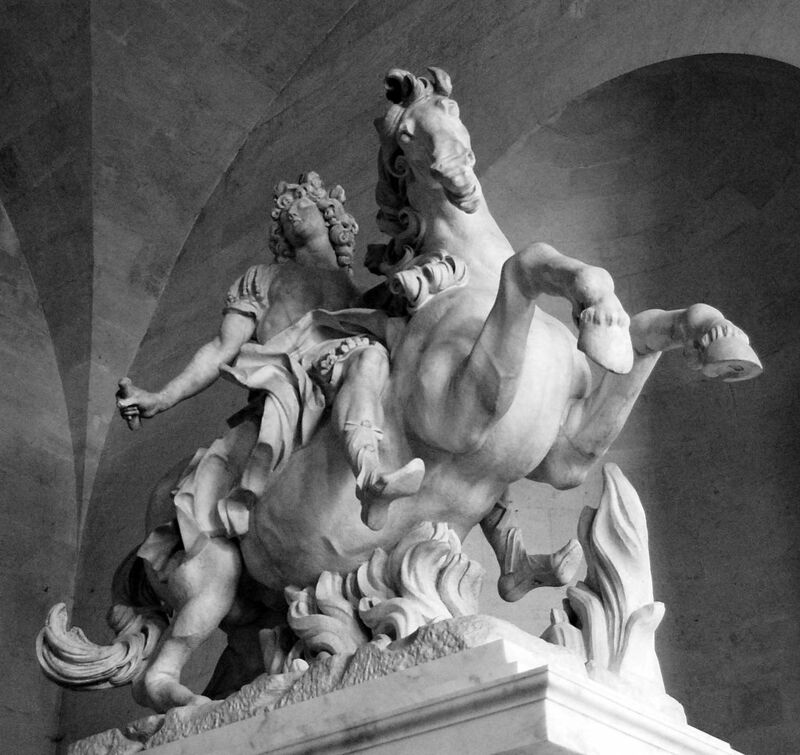 Baroque has made quite an influence on sculptures as well. The 3D sculpture that received its influences have managed to depict human emotions and movement, up to a point where the statues were actually shocking. The main characteristic of baroque sculptures are their 360 viewing angles, meant to be places in a spot where they can be admired from all angles, rather than placing them against a wall. Gian Lorenzo Bernini is the heaviest and most popular name in Italian baroque sculpture. He created the Louis XIV sculpture (which can now be admired at the Versailles Palace), depicting the French rules in a pose that would impress people throughout the centuries. Baroque paintings are really easy to recognize, as they embed elements of drama, contrasting light and darkness, rich colors, and an emphasis on body posture and facial expressions. 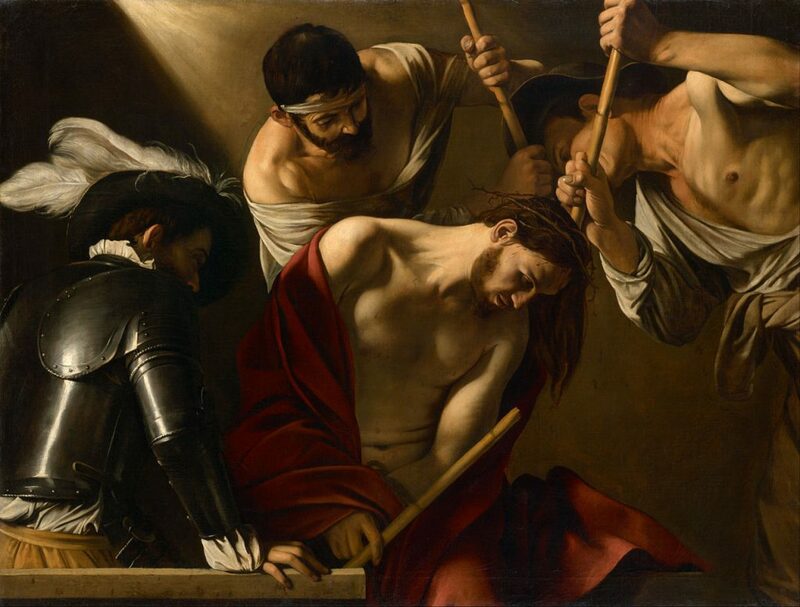 Probably one of the most iconic figures that’s associated with baroque paintings is Caravaggio, who created timeless masterpiece, such as “The Calling of St. Mathew” or “The Crowning with Thorns”. Other famous baroque painters that greatly influenced the Italian baroque era were Giovanni Lanfranco, Peter Paul Rubens, and Domenico Zampieri. However, Pietro da Cortona is the name associated with the Roman High Baroque period. He was commissioned a lot of paintings for the Sacchetti family and baroque influences are clear across all of his works. As far as Spanish paintings are concerned, one can clearly see how mysticism has influenced the genre. Back in 1492, the Spanish Golden Age began to flourish, as did literature and arts. One of the name associated with Spanish baroque paintings is Diego Velázquez. His influential art made him a painter for King Philip IV, and then made him famous and demanded by aristocrats all over Europe. 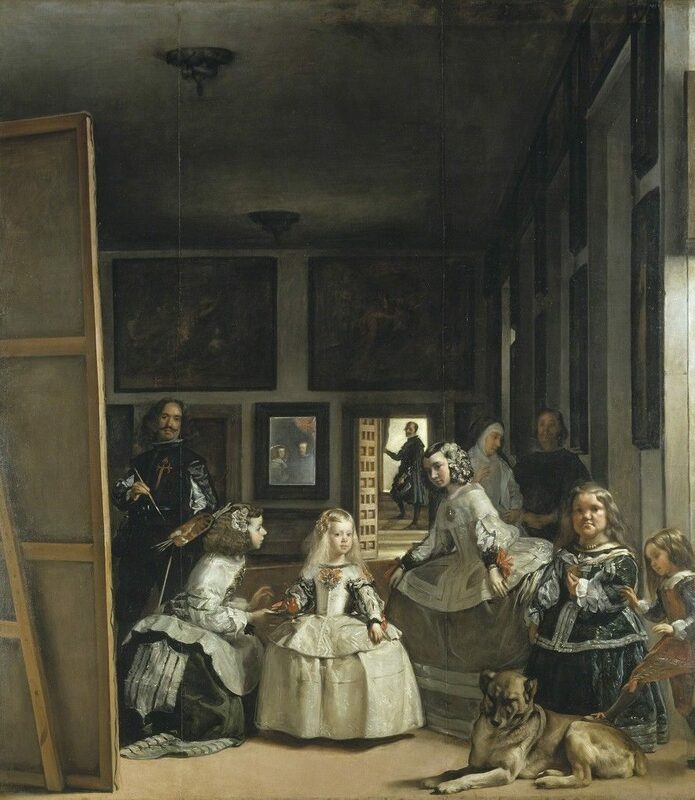 His signature painting is “Las Meninas”, a masterpiece with elements and complex details that are interpreted to this day by art critics from all corners of the world. French art history is no stranger to baroque paintings either. 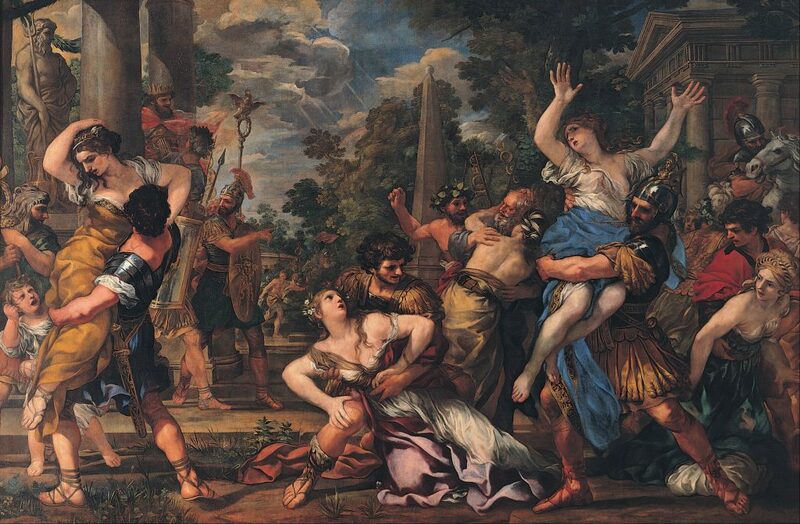 Simon Vouet is one of the key name, an artist that introduced this style to French paintings. He taught baroque painting techniques to Charles Le Brun, who then became a painter in King Louis XIV’s court. Due to his amazing work, he ended up decorating the Palace of Versailles. Nicolas Poussin is another French name associate with the baroque era. He is recognized due to his use of classical elements in baroque paintings, where logic and order are dominant. He became very popular due to his landscape paintings. Baroque is a current that has made a major contribution to art and architecture as we know it. While artworks are rich in number and extremely elaborate in details, we wanted to show you just a couple of the masterpieces that people remember to this day. Everyone who knows their art history associates the name Rembrandt with Baroque art. This particular painting is a benchmark of Dutch Baroque art, as it’s a scene rich in details, and quite a shocking one at that. 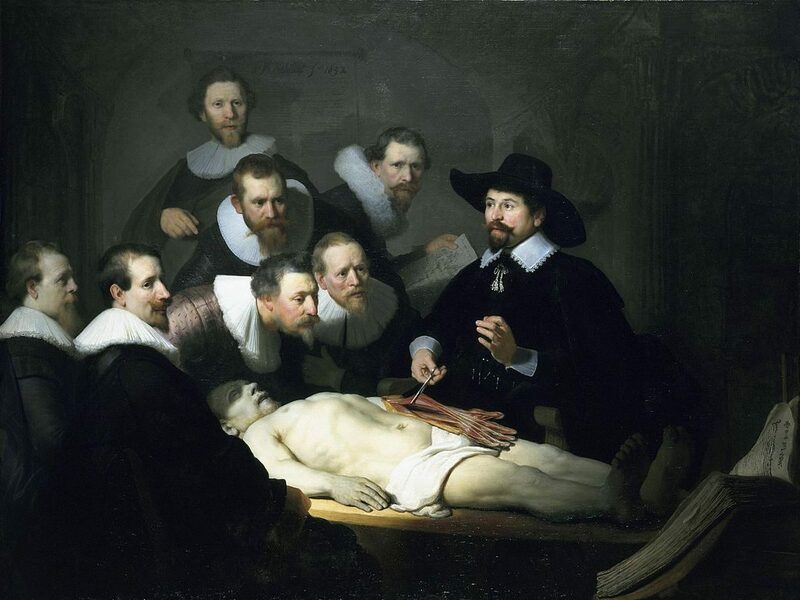 The painting shows the dissection made by the Amsterdam Guild of Surgeons. The executed criminal lies on a table, surrounded by dramatic bearded figures, in a gruesome scene that Rembrandt painted back in 1632. The sculpture of Apollo and Daphne is another masterpiece given to the words by the baroque era. The sculpture captures Daphne changing into a tree, and the facial expressions and tensions depicted by the two statues are astonishing. 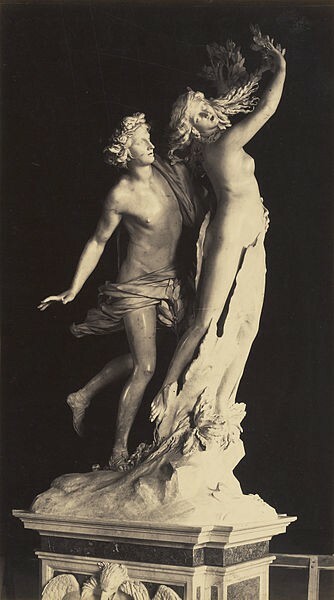 The tension and the despair highlighted by Bernini’s work created in 1625 has made “Apollo and Daphne” one of the most important forms of baroque art in history. 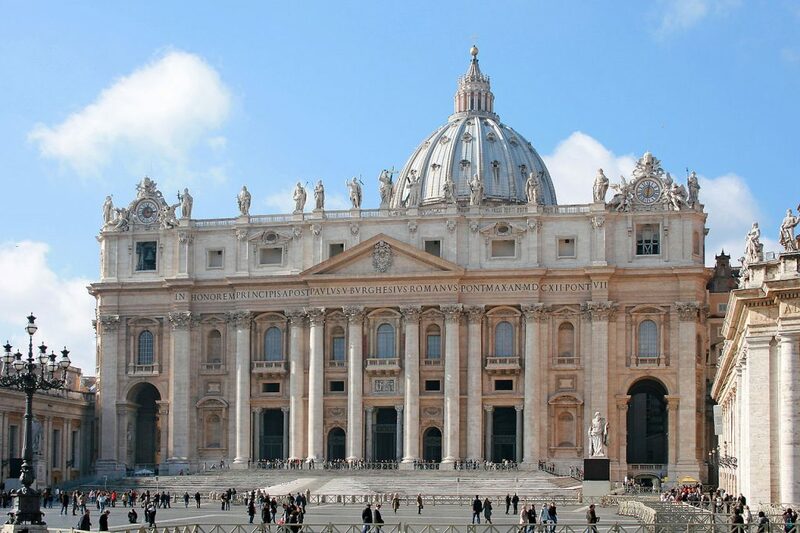 When it comes to Italian baroque art, nothing is more famous than the St. Peter’s Basilica. It is currently the most famous Roman Catholic Church in the world, being a result of both Baroque and Renaissance influences. But by analyzing the elements that adorn this wonderful piece of architecture, the baroque influences become clearer and clearer. When first entering the Basilica, you notice the walls lining is designed to suggest the embrace that the Catholic Church gives to everyone who passes their doorstep. The interior design was focused on allowing as much natural light as possible, while the biblical scenes scattered throughout the entire building are rich with details. 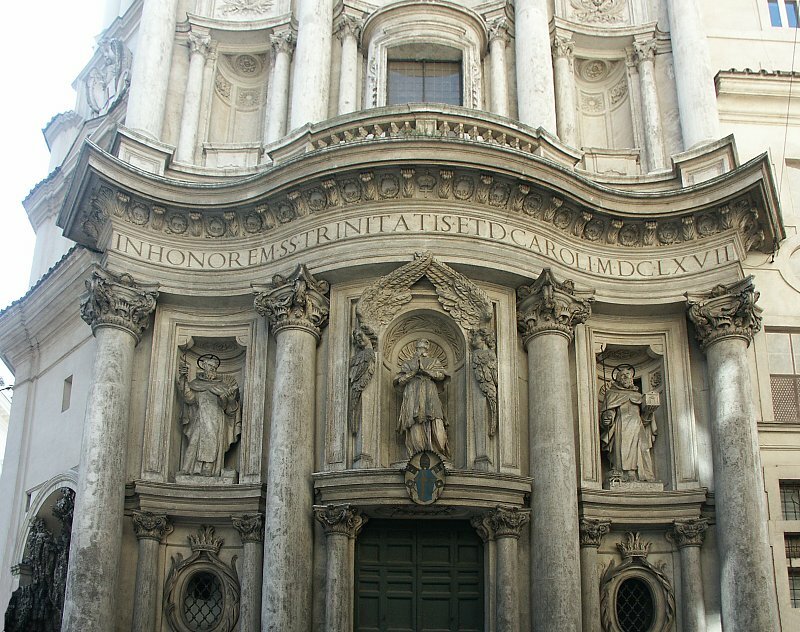 Diving deeper into baroque architecture, we discover the San Carlo alle Quattro Fontane, another Italian church based in Rome. Dating back to 1634, this building was the first independent commission of architect Francesco Borromini. It is one of Rome’s main attractions, with a curvy facade and tall columns. Walking inside the church, visitors discover baroque complexity at its finest. Everything about the interior of the church is rich in details, showcasing how well Borromini did with so little space available. The hidden windows are penetrates by light in the most unexpected corners, while the geometrical shapes and playfulness add even more grandeur to this already-spectacular place. No list of baroque architecture can be complete without a reference to the Blenheim Palace. Offered as a gift to the John Churchill, 1st Duke of Marlborough, it was the Crown’s way of rewarding him for the victory on the Battle of Blenheim. To this very day, this is considered a monument of Britain’s victory. This is probably the best example of how baroque influenced British architecture. 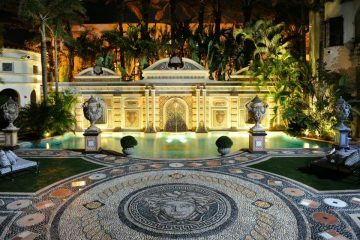 The palace is adorned with elaborate roof lines, decorative columns, paintings and statues that depict the finesse of the baroque style. Caravaggio was a controversial figure throughout history, but he is, beyond a shred of a doubt, an iconic name in baroque art. 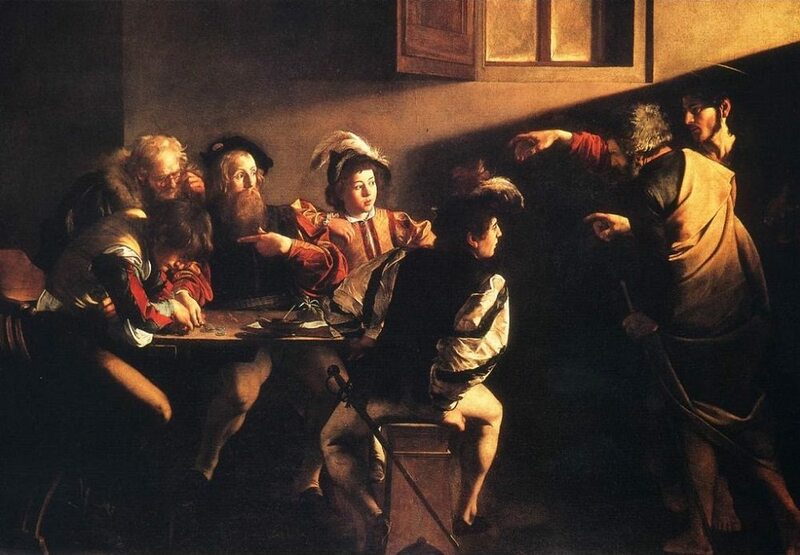 This work entitled “The Calling of St Matthew” shows a dark tavern, with a bunch men that are facing Christ, who is pointing at St. Matthew. The baroque elements of this painting are extremely visible: from the dark angles that transition to the light falling on the men’s figures, from the gestures to the facial expression which indicate the drama of the scene. There are many terms that were used to describe the characteristics of baroque art: from opulence to grandeur, from exquisite to dramatic, from theatrical to mystique. Regardless of the terminology, baroque has been a great influence on the prosperity of art and architecture, and has given the world some paintings that are still analyzes and discussed to this day.